Another problem not highlighted is where the E line would stop. Since all the platforms south of Market are raised platforms, the old streetcars cannot use those. So they have to set up new stops for those cars. 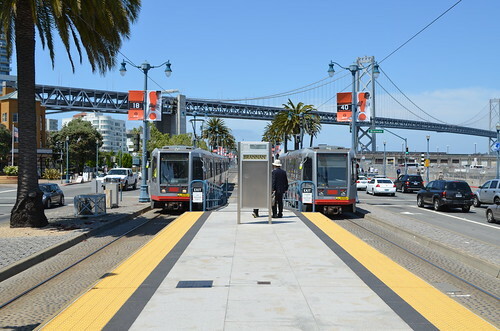 The crossings between the Muni Metro stops are possible (like near AT&T park). And then having them have to go all the way down King to turn around where the N does also would have some logistical problems as already noted. Having both light rail and street cars sharing the same rail is not as easy as it sounds.